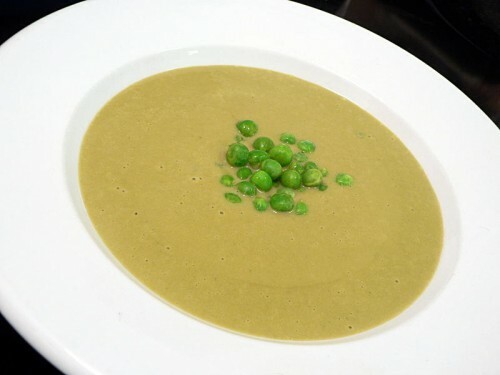 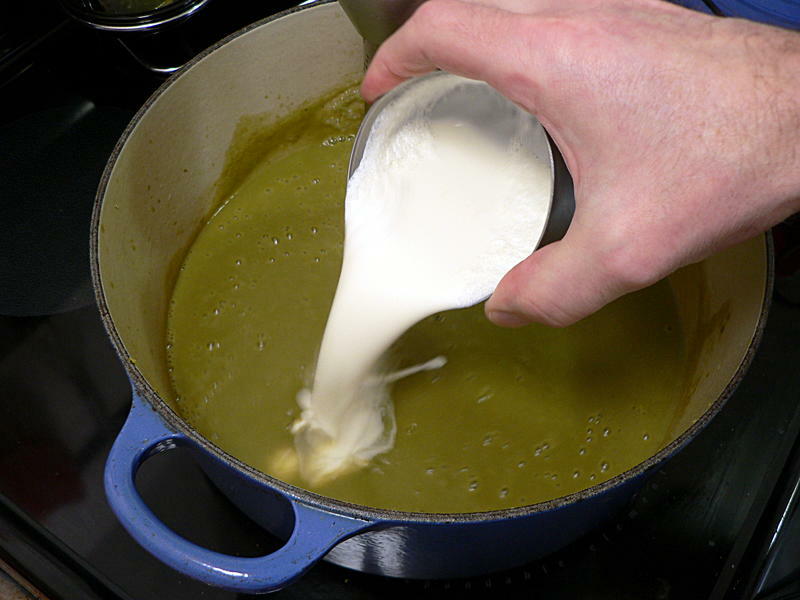 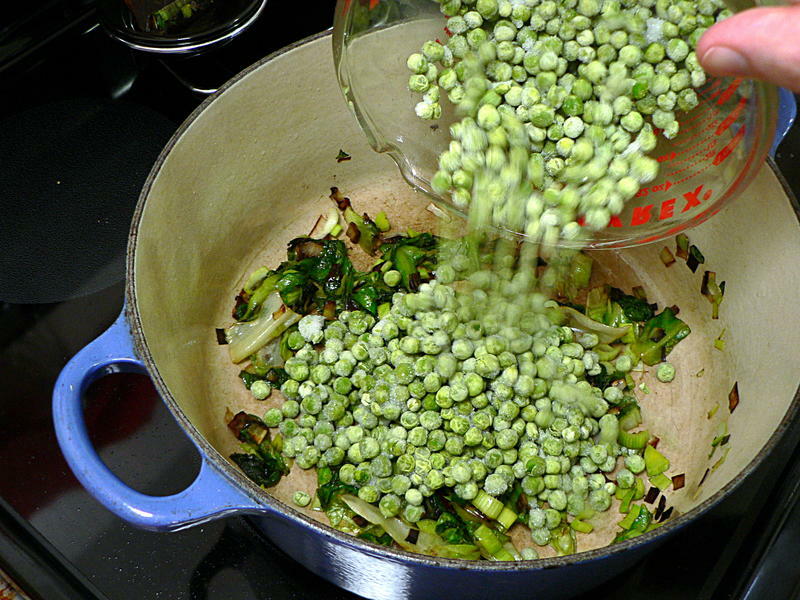 * Peas … the whole reason I’m doing this recipe … and I forget to put them in the picture. You can use fresh peas, of course, but frozen works just as well. 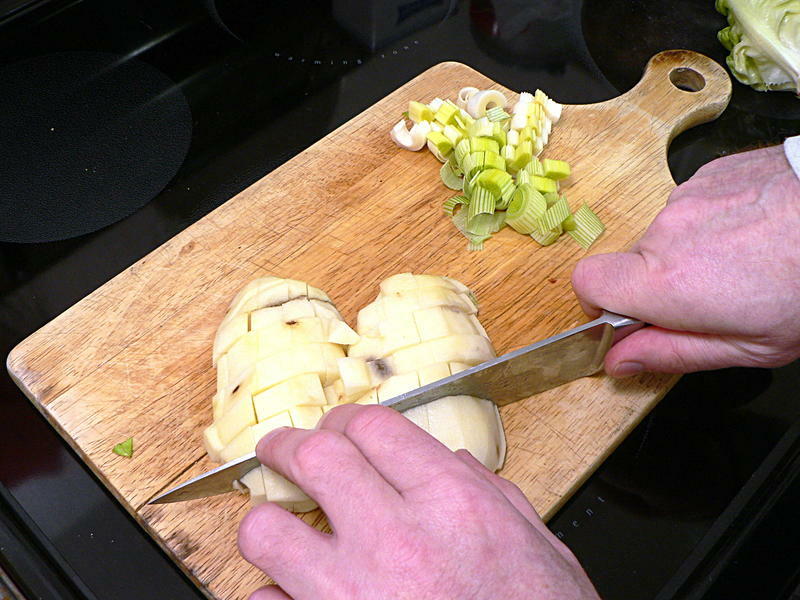 Measure them out and, while they’re thawing, chop the lettuce and leek (mostly the white part, just a little green) and peel and dice the potato. Add the leek and lettuce and sauté until they’re wilted and just a little browned. 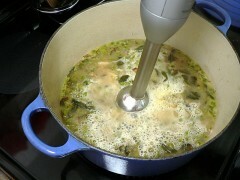 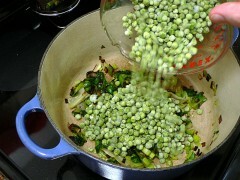 Now add the peas and cook until the skins start to pop. 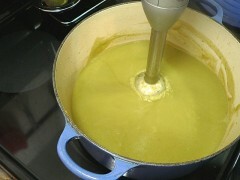 Add the chicken broth and potato and a little salt (about a teaspoon). 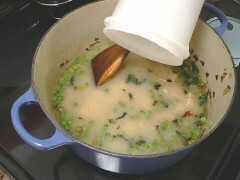 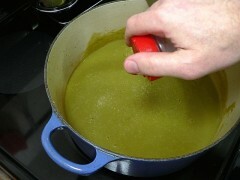 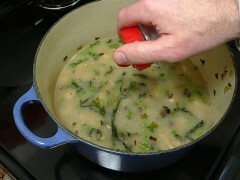 Bring to a boil, then reduce heat and simmer for 20 minutes, or until the potato is cooked all the way through. Process with a stick blender until completely smooth. If you don’t have a stick blender, process in a regular blender in small batches. 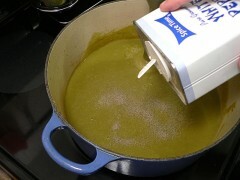 Check the seasoning and add salt and pepper to taste, then add the cream. 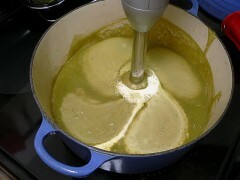 Process again until the cream is thoroughly incorporated. 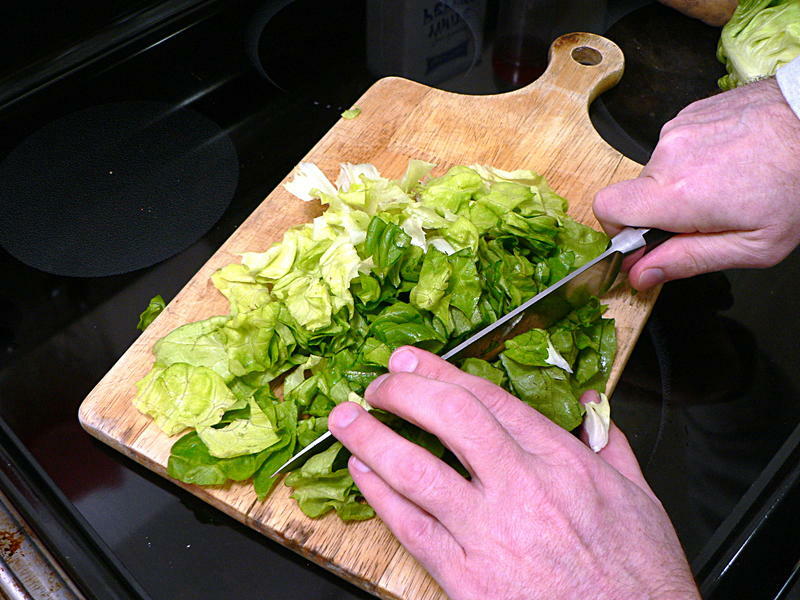 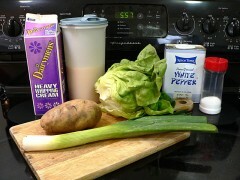 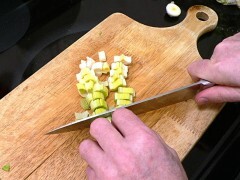 Chop the lettuce and leek (mostly the white part, just a little green) and peel and dice the potato. 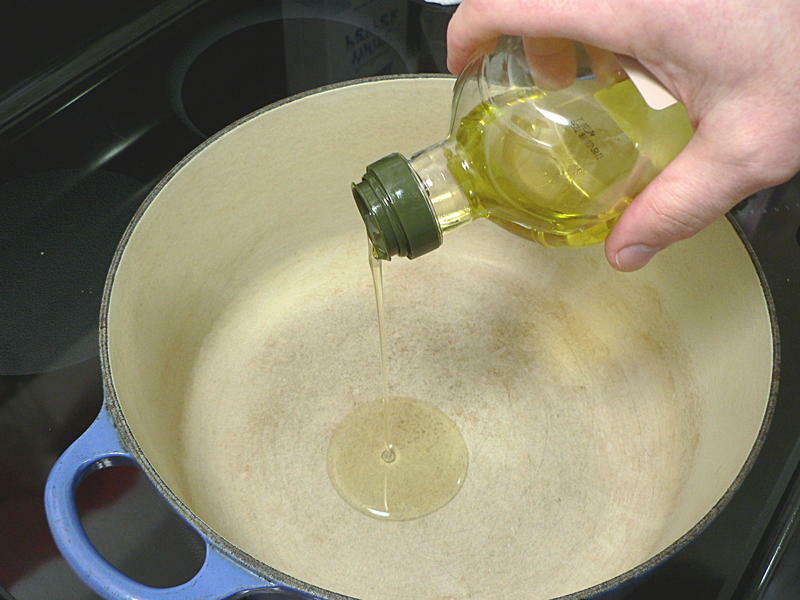 Put a few tablespoons of olive oil in a heavy-bottom pot over low heat. 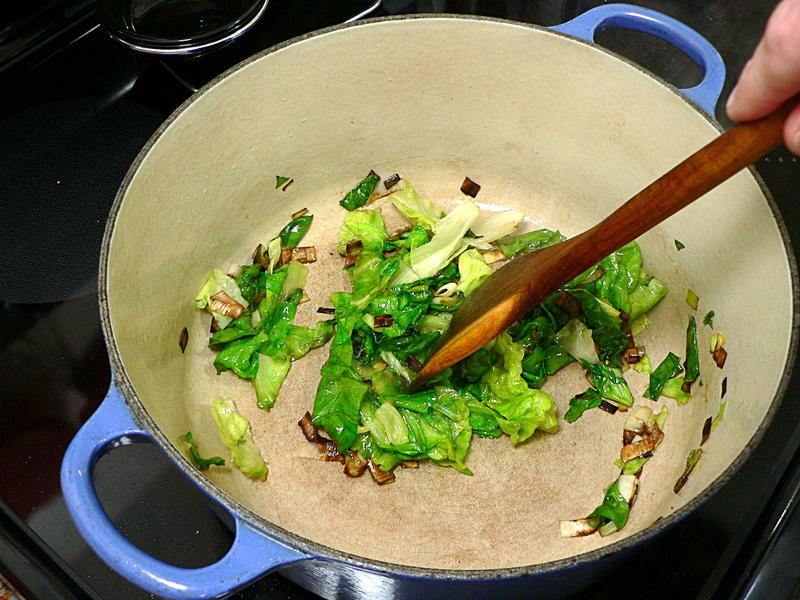 Add the leek and lettuce and saute until they’re wilted and just a little browned.